Tribal Collection	There are 3 products. 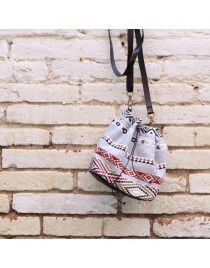 Bags that combine a black denim with and upholstery fabric with a tribal inspiration. SOLD OUT - Tribal fold-over clutch bag in upholstery fabric, suede and denim.